No matter who you’re buying for, there’s a certain etiquette attached to buying gifts. The rules tend to vary from person-to-person, but whatever you buy, making the right impression is incredibly important. Let’s take a look at some basic guidelines for buying gifts for certain people. There’s no need to go over the top if you’re in the early stages of a relationship. 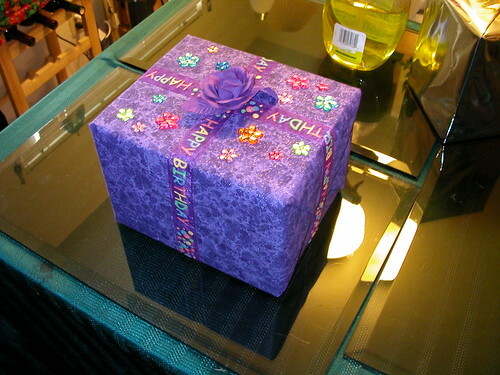 By purchasing an elaborate or expensive gift can leave the recipient feel uncomfortable. If you spend too much, this may make them feel pressurised or trapped – and they may feel that they need to provide you with something equally expensive. Small gestures are always more appropriate when a relationship is in its infancy. Even if you’re not planning on spending too much, it may be an idea to opt for something subtle rather than something too romantic. The more your relationship progresses, the more confident you should feel about making bigger gestures in order to make the right impression. When you’ve been friends with someone for a long time, so it may seem appropriate to buy them a gift. Again, it’s never a great idea to be too elaborate when buying for a friend because they will feel the need to reciprocate. You should be careful not to make the present appear as though you are giving to charity too, especially if the friend is hard up at the time. Once you’ve known them for some time, and they have cooked for you or helped you out in other ways, it makes sense to show your appreciation. Popular gift ideas for a friend’s may involve something like a bottle of wine, chocolates or perhaps something ornamental. No matter what your relationship with your mother-in-law is like, at some point you will need to buy them a gift. IF your husband suffers from bouts of the forgetful flu, you may end up with the duty of chief gift buyer. Not everyone gets on with a mother-in-law, but most people try to make relations as civil as possible nonetheless and it’s a great opportunity to endear yourself with the opposition. You’ll need to find out what kind of things she is interested in, either by talking to her yourself or asking your other half. In order to impress them and to make the right impression, it pays to spend some time shopping around or being diligent in the weeks approaching the date. When people have put little effort into finding the right gift, it shows – especially if your relationship is fragile at the best of times. This rules out gift vouchers for example unless you feel highly confident that they will be appreciated and used. A well-considered gift may play a pivotal factor in improving relations. Many people have inadvertently caused offence or simply given off a bad impression when buying gifts for people, even when their intentions have been good. It’s always a good idea to approach gift-buying with caution and to take your time when browsing online or on the high street. The more you get to know someone, the smaller your chances of making the wrong impression become. If you go out of your way to be considerate and thoughtful, but have nothing of the sort given back to you when your birthday comes around, don’t fret, just move on. You should never give to receive regardless, of how a lack of consideration by others makes you feel. Rise above the gesture even if you think it is intentional and you will instantly feel better. Sheila Watson has been organising birthday parties and planning events for many years and is a strong believer that good party bags are much preferred to birthday cakes at parties.